Using UDFs and Knowledge patterns in a single part file to script a “box morph” unit between two surfaces. Then unroll that unit with another script. And finally export the unrolled polysurfaces to rhino where tabs and labels will be added and then laser cut. 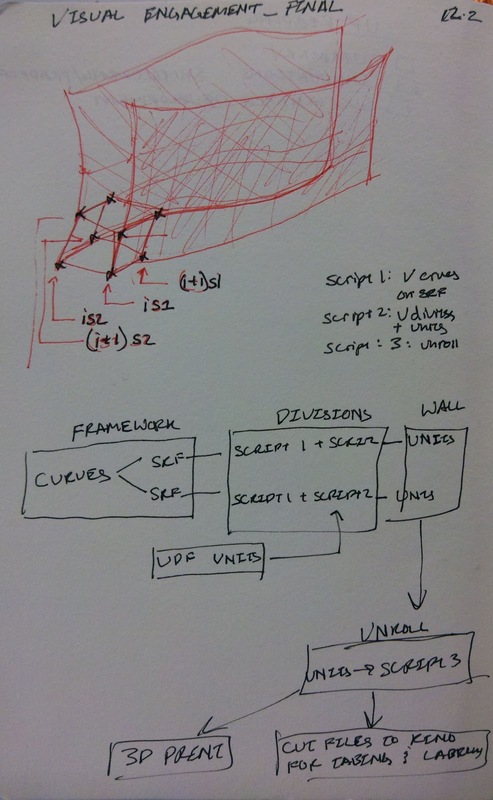 Next Next post: Final Project Sketch_ Scripting With UDFs and Knowledge Patterns in Catia cont.